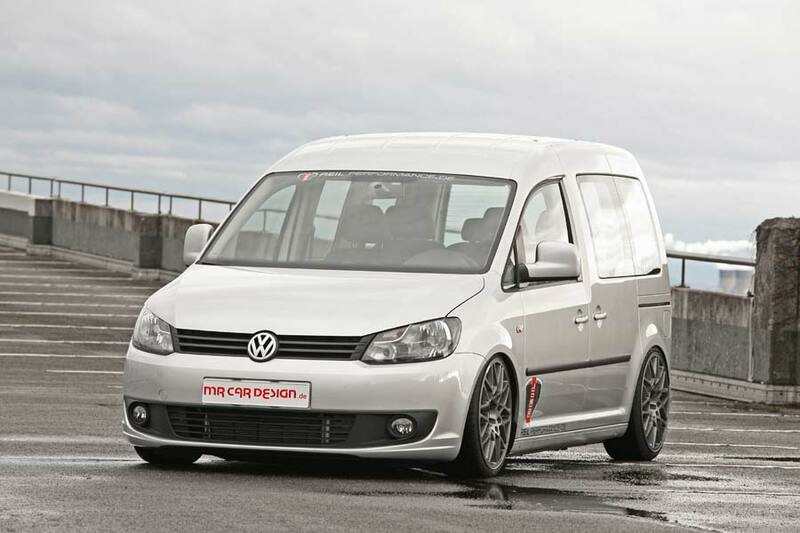 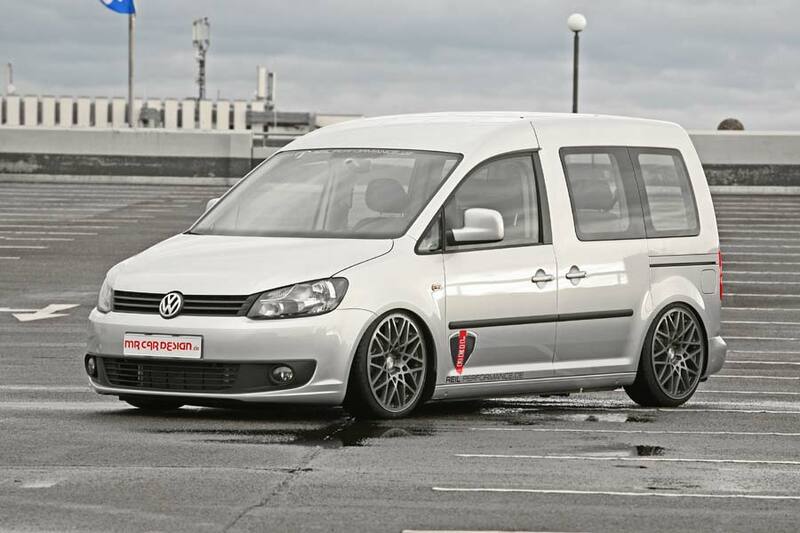 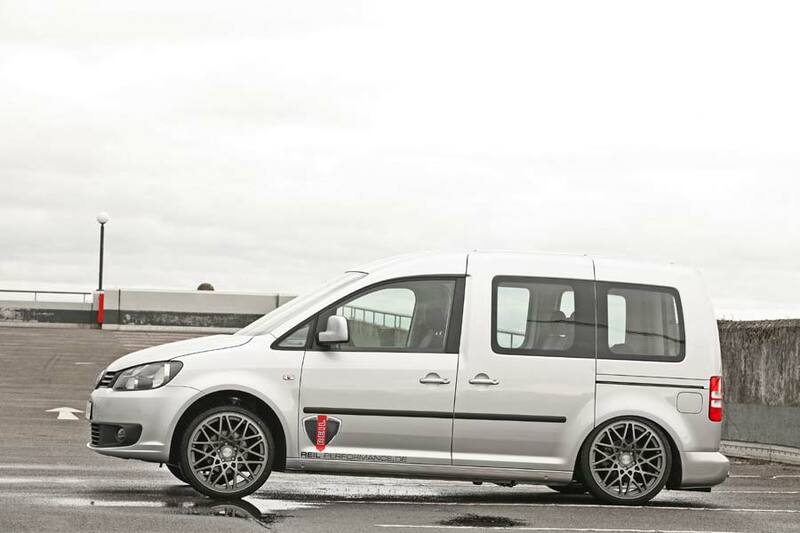 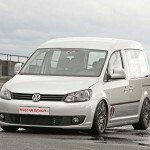 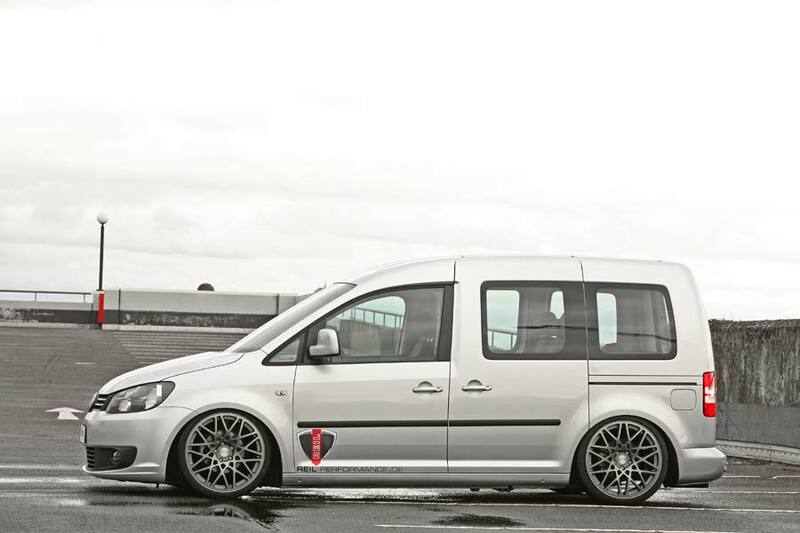 Marcel Reil and his crew at Erftstadt-based styling house MR Design have jumped on the air ride bandwagon, offering a conversion kit for Volkswagen’s Caddy model. 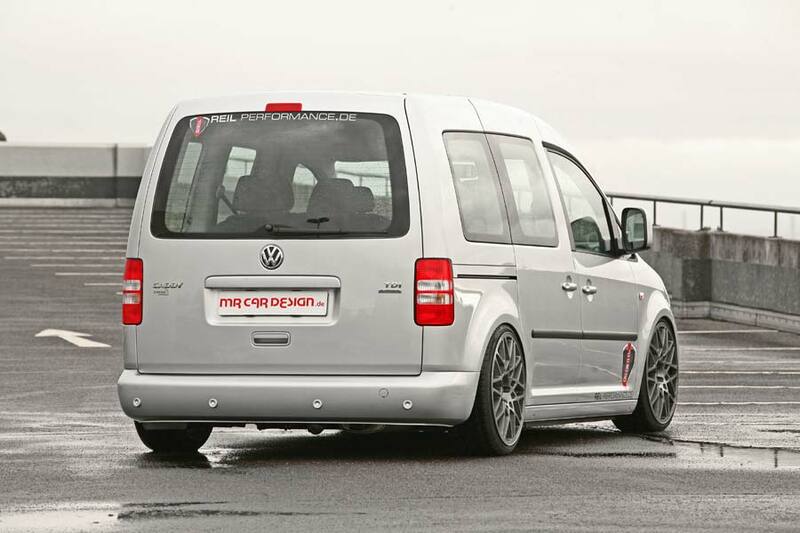 As well as offering that ground-scraping stance, MR Car Design points out that this suspension set-up can provide easier access to the vehicle for wheelchair users and craftsmen needing to load and unload heavy equipment. 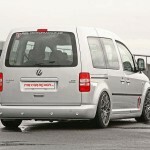 Once the new air struts, bags and compressor are fitted, the driver can adjust the ride height at the touch of a button, with the Caddy capable of going from ‘off road’ to ‘slammed’ mode in just a couple of seconds. 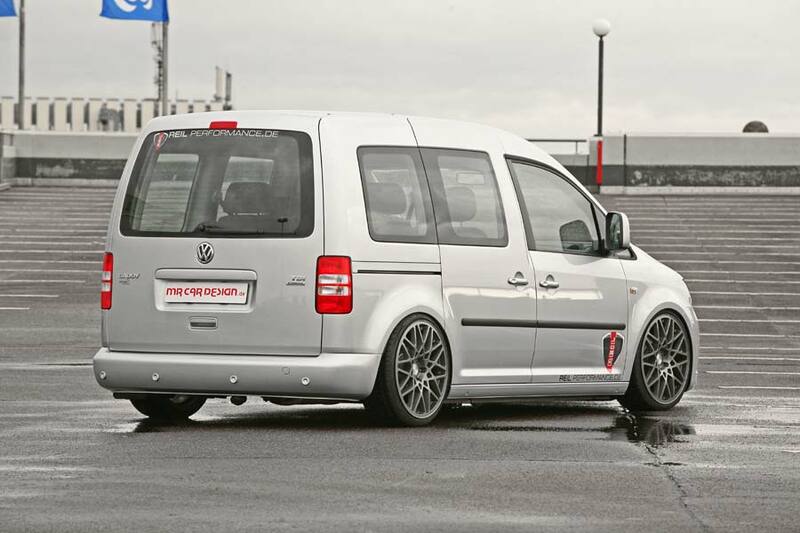 This Caddy Maxi Life also wear a set of 8.5 x 19-inch Lamborghini Gallardo-style alloys from Rotiform.